● Bowyer started 14th and finished seventh to earn four bonus points. ● Bowyer drove from 14th to eighth in the opening laps. ● Initially told the crew his car was a little tight, but that condition grew worse with each lap. ● Reported the car was tight at the bottom of the turns and loose at the top. ● No. 14 took four tires during a caution at lap 60. ● Bowyer drove from 11th to seventh in the final 20 laps of the stage. ● Bowyer started seventh and finished 11th. ● Continued to struggle with handling and fell outside the top-10. ● Pitted on lap 121 for tires and fuel plus adjustments that would enable him to race in the lower groove in the final stage. ● Finished just a second behind 10th place. ● Bowyer started 10th and finished 13th. ● Contact with another car on the opening lap of the stage damaged his left-front fender. ● Bowyer said the car was “plowing” because of the damage. ● Dropped to 14th-place with 60 laps remaining. ● Bowyer pitted under green on lap 213 for tires and fuel and to repair the damage. 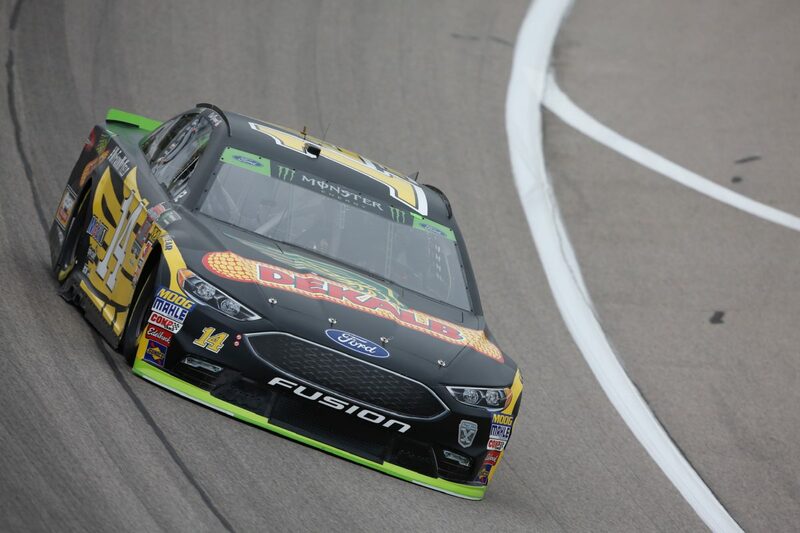 ● Despite reporting his car was tight in the closing laps, Bowyer held on to finish 13th and advance to the Round of 8.